PHOTOIRELAND FESTIVAL 2017 – coming up next MAY! 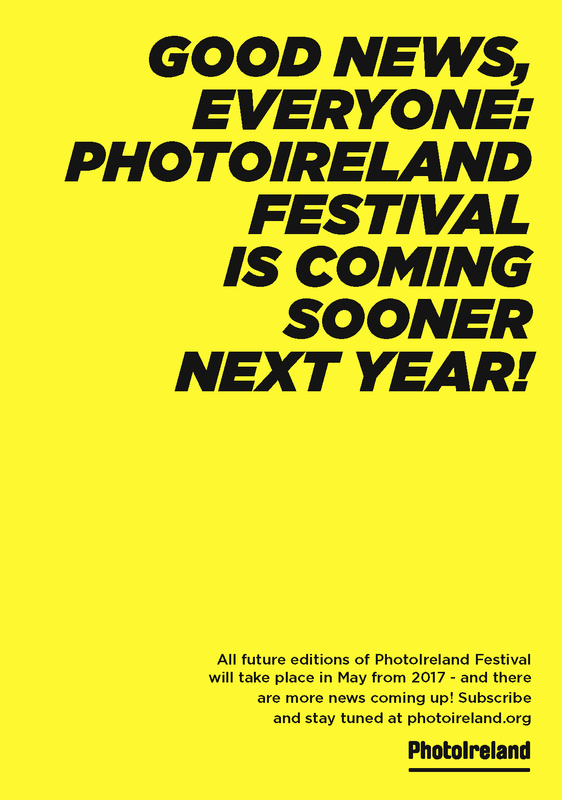 As we announced last July, all future editions of PhotoIreland Festival will take place in May from 2017 onwards. We want to make sure everyone is aware, so pass on the word and stay tuned for more news and calls for work this winter! You can subscribe to our newsletter here. Previous PostHALFTONE, A celebration of the printed matter in all its forms.